The Regional Centre for the Safeguarding of intangible Cultural Heritage in South-Eastern Europe came into being in 2008 as it was registered as a non-profit organization in accordance with the Bulgarian legislation. With Resolution adopted on the 35th session of UNESCO General Conference on October 2009, the Regional Centre is recognized as a regional centre (category 2) under the auspices of UNESCO. 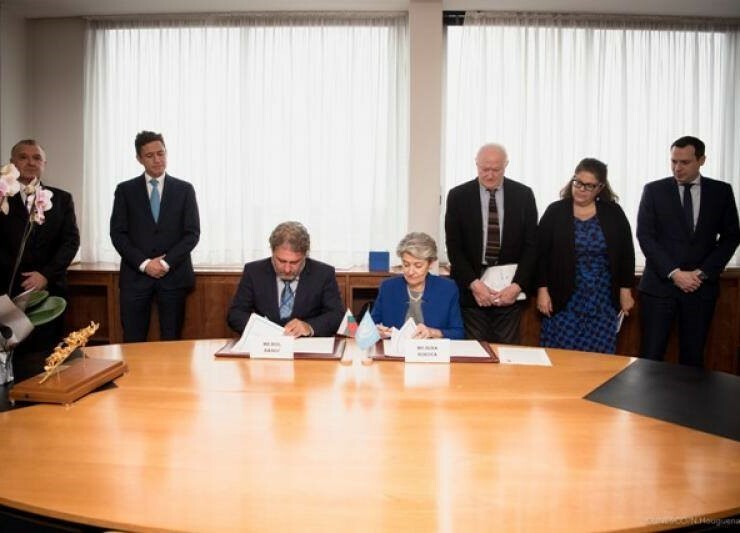 On Novermber 10, 2017 the Director-General of UNESCO – Ms Irina Bokova (2009-2017) and the minister of culture of the Republic of Bulgaria – Mr Boil Banov signed the Agreement regarding the continuation in Sofia (Bulgaria) of the Regional Centre for the Safeguarding of the Intangible Cultural Heritage in South-Eastern Europe under the auspices of UNESCO. This Agreement is concluded for a period of six years as from its entry into force. The Agreement is ratified by law and promulgated in State Gazette issue № 32 from 13.04.2018. 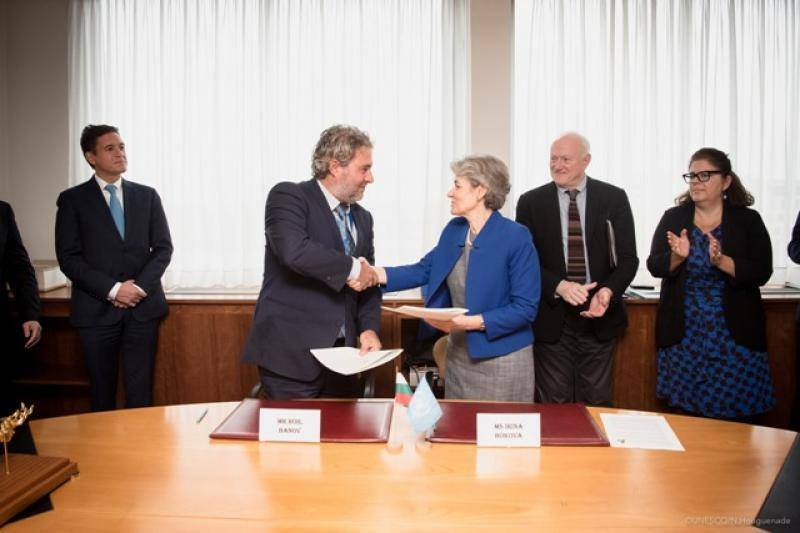 The Agreement between UNESCO and the Government of Republic of Bulgaria regarding the establishment in Sofia of a Regional Centre for the Safeguarding of the Intangible Cultural Heritage in South-Eastern Europe under auspices of UNESCO ((Category 2) was signed on October 25, 2010 in Paris (France). On March 16, 2011 Bulgarian Parliament adopted the Law on ratification of the Agreement and then it enters into force. 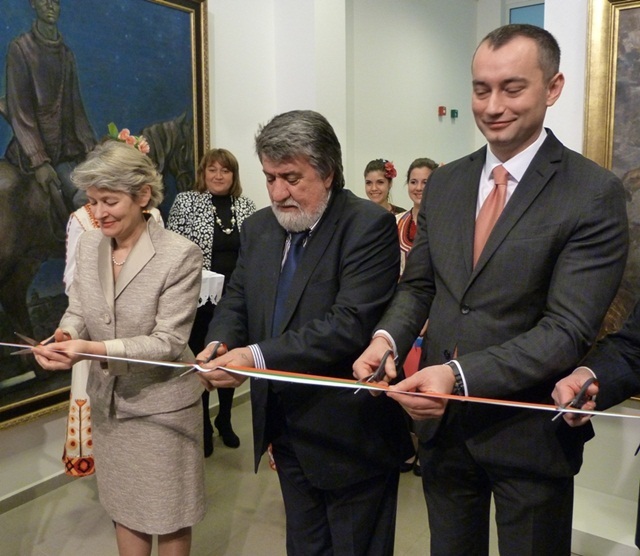 UNESCO Director-General, Ms Irina Bokova, together with the former Foreign Minister, Mr Nikolay Mladenov, former Culture Minister, Mr Vezhdi Rashidov and the former President of Bulgarian Academy of Sciences, acad. 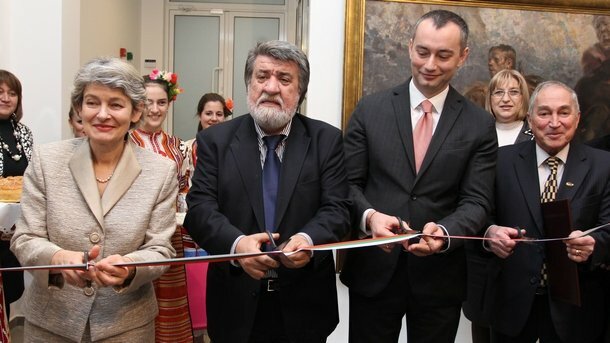 Nikola Sabotinov, officially inaugurated on February 20, 2012 in Sofia the Regional Centre for the Safeguarding of Intangible Cultural Heritage in South-Eastern Europe under the auspices of UNESCO. Cofounders of the Sofia Centre are Ministry of Culture of Republic of Bulgaria, Ministry of Foreign Affairs of Republic of Bulgaria and Bulgarian Academy of Sciences. The necessary funds for the running costs of the Sofia Centre are provided by the Bulgarian Government. For this purpose a specific article in the Bulgarian Cultural Heritage Act is amended. Scope: On the last session of the General Assembly, two new member states from South-Eastern Europe were unanimously and enthusiastically welcomed as part of the Centre. Until today, their number is 14 member states: Albania, Armenia, Bosnia and Herzegovina, Bulgaria, Croatia, Cyprus, Georgia, Greece, Montenegro, Romania, Serbia, Slovenia, The Former Yugoslav Republic of Macedonia, Turkey and Ukraine. The scope of the Regional Centre is expected to expand in the forthcoming years. Make efforts for strengthening the cooperation with UNESCO and the respective related institutions in other countries and regions. The General Assembly determines the procedure and organizes the performance of the activity of the Centre, amends and supplements its key documents, examines andaccepts the annual reports, accepts and excludes members of the Centre and decides on the participation of regional intergovernmental organizations and international organizations in the work of the Centre. In 2016 Ms Zhulieta Sina Harasani, representative of the Ministry of Culture of Albania, was the Chairperson of the General Assembly. In 2017 Ms Arta Dollani, representative of the Ministry of Culture of Albania, was the Chairperson of the General Assembly. In 2018 Ms Stavroula Fotopoulou, representative of the Ministry of Culture of Greece, was the Chairperson of the General Assembly. The Executive Board is executive and monitoring body of the Centre. It is composed of five natural persons elected for a term of 1 year by the General Assembly among the representatives of its regular members. It has monitoring functions for the implementation of the decisions of the General Assembly and monitors the performance of the Centre’s financial transactions in accordance with the approved budget. The Executive Director is the managing body of the Centre and organizes the operations of the Centre in accordance with the decisions of the General assembly and the Executive Board.